Join us in welcoming Anne-Rene Petrarca to Dance In The Annex! Anne-René is a certified Alexander Technique teacher, dancer, choreographer and artistic director of Sculpted Motion. She received her MFA in Dance from the University of Wisconsin/Milwaukee, Alexander Technique certification from The American Center for the Alexander Technique (ACAT) in New York City and completed her undergraduate work at Point Park University. New York City was her home for twenty years. Anne-René was on the faculty at Dance Space (DNA), assistant faculty at The Juilliard School and guest artist at Sarah Lawrence College, Long Island University/Brooklyn and Hope College. Now living in the San Francisco Bay area, she currently teaches for the LINES Ballet Training Program and the LINES BFA program . She is also on faculty at Mills College, San Francisco State University and Shawl-Anderson Dance Center. Sculpted Motion has performed at the West Wave Festival (San Francisco), Mint Plaza, Shawl-Anderson, Berkeley Art Center, San Jose State University, Dance New Amsterdam Theater, Kumble Theater, Evolving Arts Theater, City Center Studios and the Makor Theater. Anne-Rene travels as a guest artist teaching and creating new works. Her focus has been to integrate Alexander and dance technique, which is a key element of her contemporary/modern technique class. Join us in welcoming Hannah Sullivan to Dance In The Annex! Hannah’s teaching focus fuses ballet, yoga, Horton and release techniques. Her classes are known for encouraging students to connect intentional emotion to movement. Come experience a challenge for your body coupled with empowering emotional work. Intermediate and advanced dancers 16+ welcome! Join us in welcoming Thom Dancy to Dance In The Annex! Using improvisational technique and a ballet base, class works from the ground up. Focus is turned to allowing specific points in the body to be the causality of movement as we progress through increasingly complex combinations. Class finishes with center-work designed to propel the body off its natural axis, using concepts worked on in class to test the body’s potential and create expansiveness. Be prepared to sweat. Thom Dancy studied ballet at the University of Oklahoma and has danced with Milwaukee Ballet, Grand Rapids Ballet, and The Big Muddy Dance Company (currently under the direction of Brian Enos). Thom is also a member of Actors’ Equity and has performed at The MUNY in Hello, Dolly! and My Fair Lady (2015), as well as in State Fair with the Ohio Outdoor Historical Drama Society. 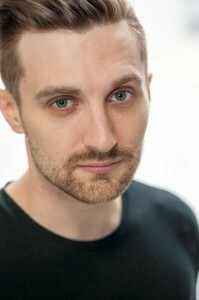 He has originated principal roles in works by Kate Skarpetowska, Victor Alexander, Brian Enos, and Harrison McEldowney. As a choreographer, Thom has created work on The Big Muddy, Milwaukee Ballet II, Grand Rapids Ballet, COCA, and Danceworks Chicago. His work has been presented at Spring To Dance and the Palm Desert Dance Under The Stars Choreography Festival, and he has won “outstanding choreographer” at YAGP and the World Ballet Competition. Thom is one of The Big Muddy’s in-house choreographers.